You chose SugarCRM for a lot of reasons. If your sales team is more effective, that means more customer engagement, stronger relationships, and more sales, more fundraising, and more opportunity for your company to wow your customers. But you know it’s not just about the sales team. SugarCRM allows your IT staff to be more creative and more efficient. I don’t have to tell you how much that benefits the entire company. Simple ... faster ... better. Dashboard Copy Manager saves countless hours for administrators. Simply copy the settings from an existing user and drop it into to a selected group of Users, Teams, or Roles. Dashboard Copy Manger is compatible with SugarCRM CE, SugarCRM 7, SugarCRM 8, and SugarCRM 9 On-Premise and SugarCRM On-Demand. What’s the value of time? This much is for sure: It ain’t free. And it’s for sure better spent on other things than manually setting up dashboards for new users or manually copying dashlets over… and over… and over… again. Better still, what’s the value of the new creative solutions, bug fixes, and development that your team isn’t doing because they’re spending time manually setting up dashboards? 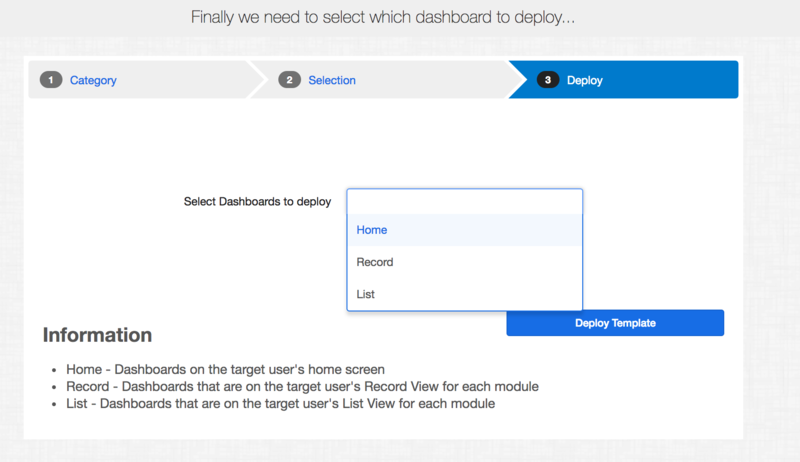 With Dashboard Copy Manager you can copy the home page settings from any user and deploy to any number of users you choose. 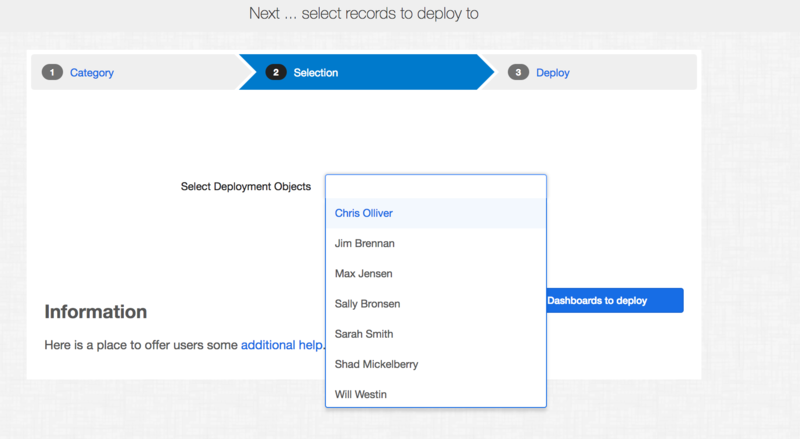 Additionally, you can deploy to Roles or Teams to save even more time and prevent missing anyone. At Jackal Software, we don’t overcomplicate things. We aim to create simple solutions that make life easier for SugarCRM users. Well, that, and to help them operate more efficiently and save money. Consider how much time it takes to set up a new user dashboard. I mean literally -- how many minutes does an administrator in your system require to set up a new user so that user is primed and ready to hit the ground running? "This is a very elegant approach to a tricky problem. The best part is that you simply select any existing dashboard as the basis for your template." Create standardized dashboards for your users. No more having confused users missing out on what they could be doing with Sugar. This add-on gives Sugar administrators the ability to easily and quickly deploy dashboard templates to one or multiple users. Allow users to quickly and easily share filters to other users. Admin users can create templates of filters from multiple users to deploy to users, teams, or roles.